The classiest choice in the German premium trio mixes driving appeal with real upmarket gravitas. The interior isn’t enormously special, improving in 2011, but the overall feeling of solidity and safety overrides this. That it drives better than ever is a real bonus too, making it a real rival for the BMW 3 Series. A stalwart model in the Mercedes-Benz line-up, the C-Class competes head-to-head with the BMW 3 Series and Audi A4 in the premium saloon marketplace. Like them it’s also available as an estate, while a coupé model joined the range in 2011 - at the same time as a facelift across the rest of the range. It might be the smallest saloon in the Mercedes-Benz line-up, but it’s still packed full of class and safety equipment. Economy is good too, the diesel choices delivering a fine blend of performance and planet friendliness. All new in 2007, the current Mercedes-Benz C-Class is the company’s most dynamic model ever in the small premium saloon sector. Enjoyable enough to seriously rival its fine-driving BMW 3 Series competitor, the C-Class also majors on comfort and refinement. The range is extensive, with plenty of engine, transmission and body style choices. Diesels make the most sense for those wanting the most for their money, all delivering surprising pace mixed with fine economy. Automatics have typically been the preferred transmission for Mercedes-Benz buyers, but don’t let the slick-shifting manual put you off. The estate model adds useful and well-proportioned additional carrying space, and is arguably the better looking car alongside the saloon. If looks is what you’re after then there’s also a coupé model, it arriving in 2011 - so don’t expect to see too many on the used market for a while. Likewise the C 63 AMG - Mercedes-Benz’s ballistic answer to the BMW M3. It’s incredibly rapid, but then anything the size of a C-Class with a 6.2-litre V8 engine shoehorned under the bonnet should be. Running costs are fearsome though, so unless you own the petrol station it’s best to avoid it and have a diesel model instead. The best buy depends on your pump preference. 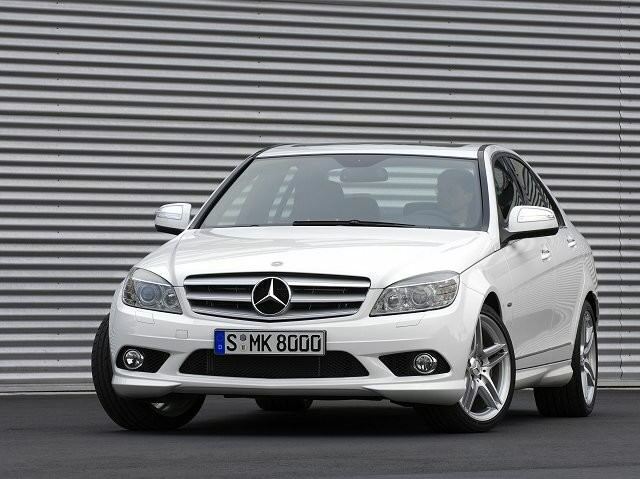 If you’re a petrol die-hard then the C 180 is a fine choice, but the C 200 CDI is the best all-rounder. Classic spec is the entry point into the range - so aim a bit higher for Elegance, Avantgarde or Sport - the latter getting some AMG styling. That stands true if you’re after an estate, too. A manual is fine, but there’s little tax or consumption penalty if you opt for the automatic.